Invest in your wellness with this must-have natural farmacy in a limited edition clutch. Get ready to feel better with five of our most supportive remedies. We gathered our top five remedies together for your convenience. Carry this kit with you to feel supported everywhere you go, all day long. 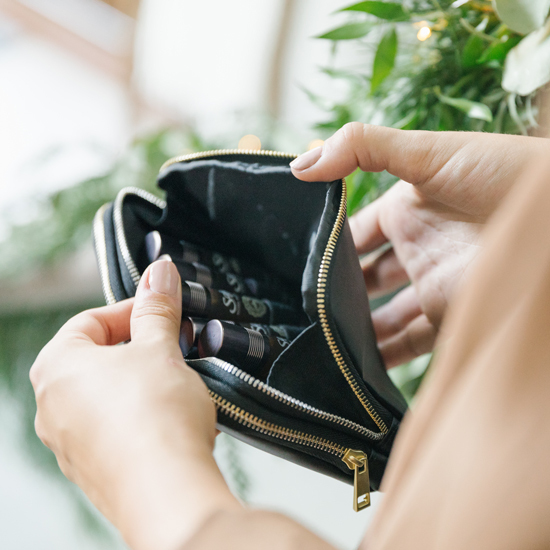 Take the guesswork out of blending and experience the full range of benefits from more than just one single note essential oil. Our remedies have been specially formulated with skin-friendly carrier oils so that you can safely apply them directly to your skin. 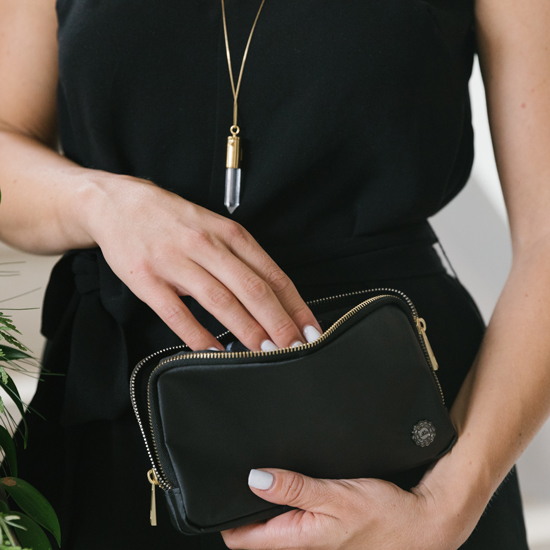 One part wallet, one part wellness convenience kit: this stylish double-sided zippered clutch holds the essentials you need for the day. Complete with slots for cards and cash. Made from RPET recycled fabric.